There are plenty of tales lamenting the race to the bottom in amenities and service for passengers in the United States. But that is not the entire story. Indeed, there are some markets where competition amongst carriers is working to increase the options available to travellers. Not only are there more choices now in these markets, the offerings are getting better. The past decade was a relatively good one for passengers between New York City and Los Angeles or San Francisco. They had better experiences than most domestic services, particularly in the premium cabins on United Airlines, American Airlines, Delta Air Lines and Virgin America. And while the offerings were better than the average domestic market, they’ve suffered recently, following the same path as cuts made in the rest of the industry. With growing competition in these markets, however, the airlines are responding by actually competing to attract customers, not just be the least bad of the options. More than 18 months ago United announced that it would reconfigure its p.s. 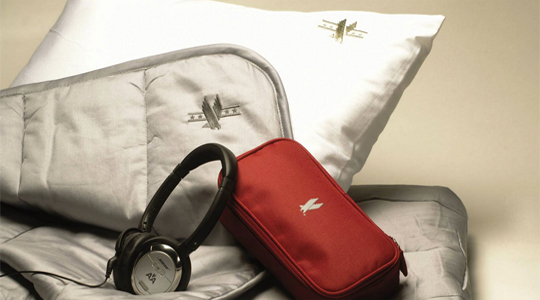 fleet to remove the first class cabin and upgrade business class to flat-bed seats; these are the same seats as their long-haul international product. The entertainment system is being updated at the same time to offer AVOD and higher-speed Wi-Fi via Gogo’s ATG-4 product. The first plane with the new layout and amenities is now flying. American is also upgrading its fleet, bringing new Airbus A321 planes to the route later this year. 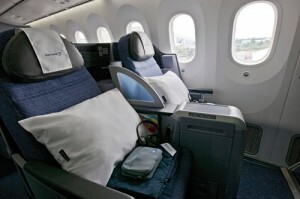 The planes will feature 10 first class seats, 20 in business class and 72 in economy. That is a notable cut in the number of seats on the plane compared to the Boeing 767s used today. In order to make up for that capacity cut the carrier will be upping frequencies to nearly-hourly “shuttle” service for the Los Angeles market as the new planes enter service. Delta already has its premium seats for the forward cabin and its Economy Comfort product in coach,offering some passengers extra legroom. Late last month the carrier increased the onboard offerings for Economy Comfort passengers on these premium routes. Travellers in Economy comfort will now receive complimentary alcoholic beverages and “premium snacks” in addition to a few inches of extra legroom. 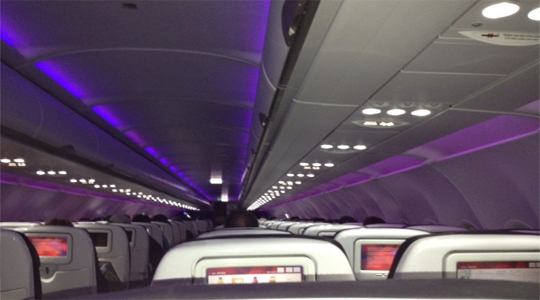 For Virgin America, just having a presence in a market has generally been considered an improvement for passengers. From overhead mood lighting to food ordering integrated with the on-demand IFE system, travellers seem to get a bit more on a Virgin America flight. And customers in their Main Cabin Select seats already get free drinks and snacks while on board. When the San Francisco-based carrier announced service into Newark, United – the dominant incumbent carrier – responded. Rather than improve the inflight offerings United is dramatically increasing flights to both LA and San Francisco (not surprisingly, Richard Branson isn’t impressed). There will be a dozen or more peak daily departures between Newark and both west coast cities, far exceeding the thrice-daily service Virgin America is offering and similar to American’s “shuttle.” And United will also continue to offer several daily frequencies to both west coast markets from JFK. JetBlue, which also competes in the markets, expects to have a premium product available in 2014. More flights, newer seats, better catering options and enhanced IFE are all notable improvements that passengers will benefit from. It may only be in limited markets (for now), but competition is working in favour of the consumer. Need further evidence? Check out what US Airways Doug Parker recently said about the passenger experience.